Blind Faith - Loyalty is very important, but it's not as important as Chelsea Football Club. Loyalty is an important trait in every walk of life and through loyalty positives things come. This same rule applies to football, Sir Alex Ferguson being the prime example. His early reign of Manchester United has always been rightfully glossed over because of what he has gone on to achieve, but nonetheless, it was the persistence of Martin Edwards (Chairman at the time) and the loyalty that he showed Ferguson which eventually paved the way for Manchester United to reach the extreme heights that they have in the last two decades. Many will say that football has changed, and that that kind of loyalty is not possible any more in the premier league due to many owners seeing football as a business, not a hobby. However, Alan Pardew’s tenure at Newcastle says otherwise and suggests that ruthlessness is not necessarily the way forward, with Newcastle eventually picking up in terms of results towards the end of his reign and many Newcastle fans now are regretting his departure. All of this brings me nicely onto the greatest manager in the history of our club, Jose Mourinho. In my eyes he has never been capable of doing any wrong, every decision he makes – there must be a reason behind it, even if it isn’t obvious. He has, like Ferguson did, earned this trust by winning over Chelsea hearts from the minute we set eyes on him. When he was sacked in his third season with us, we always felt that it was inevitable because he had an obvious desire to win trophies all over Europe and that that would eventually end in us going our separate ways. But, there was always a feeling that the ‘prodigal son’ would return from his travels. And he did. With devastating effect. Fast forward to this month and it is not the situation anyone could have predicted. We are falling apart before everyone’s eyes and there is no obvious reason as to why. At first we blamed the fitness of the players, due to returning late to pre-season after a very long summer break. THEN we blamed the Eva Caneiro incident due to it being well accounted that she was very popular with the players. THEN question marks were put over the player – “Is John Terry finally past it?”. THEN we put it down to bad luck – “If it’s any other team that ball against West Ham goes an inch further and crosses the line”. I have lost count the amount of times this season I have said “This is where our season turns a corner”. There was the win against West Brom, THEN beating Arsenal and Maccabi Tel Aviv, THEN beating Villa, THEN keeping 3 clean sheets in a row. Everyone has received their fair share of the blame, some deserved, some not, but one man has seemed to have escaped it all. We show him masses of support every game, with his name ringing around the ground every other minute. We know that he is the man for the job, that his quality will guide us out of this bad patch and we will go back to our winning ways. We know that if we get rid of him, there will be no third chance so we must not lose him. He is the best manager in the history of our club and the world. This man has even himself said that he is embarrassed by our support of him because he is failing to give back to us what we deserve. So why do we show Jose Mourinho unconditional support? I have been the biggest supporter of Mourinho (and have many a time been criticised for this) and we all know about his managerial qualities but there has to be a limit as to how much we support him, there has to. 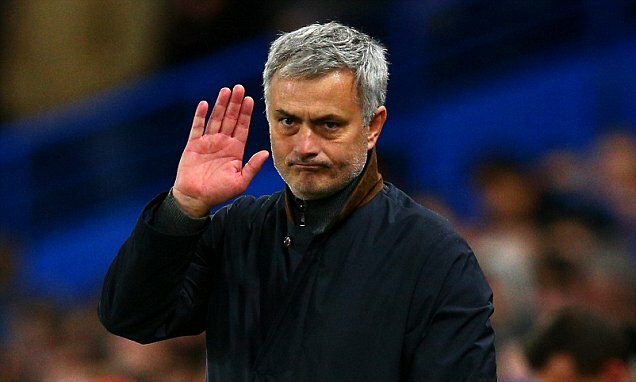 I am not saying that we turn on him, not at all, but at the end of the day we support Chelsea Football Club, not Jose Mourinho. I have to say that I have been guilty of putting Mourinho before the club because I know how much success he can bring the club. Up until our most recent loss against Leicester I have always felt Mourinho is the right man for the job and part of me still does. But what angered me and consequently gave me perspective was Mourinho’s post-match interview. We had clearly been poor in the first half and deserved to be losing. Hardly any chances had been created on our part and once again our passing was pedestrian, we had clearly set up for the draw. We then went 2-0 down in the second half and finally an attacking substitution was made. Remy came on and immediately our play changed. We started to take the initiative more. Then Fabregas came on and we became even sharper with our passing and general play. Finally we made the breakthrough with a great ball in from Pedro and Remy couldn’t miss. After that many of the Leicester players muscles started to become tight and it seemed that there was only one ball in the King Power stadium so the game petered out. I was expecting the usual drabble Mourinho gives but instead he had the nerve to come out and blame the players when it was obvious that we had set up too defensively. It seemed to me as if he was separating himself from the players just as a back-up plan in case he does get the sack. He was constantly saying that he knows he is a good manager and that we lost because many players were off the boil. It was the first real change in all of his interviews through which I felt genuinely angry at him. We have shown him so much support, so much so that I can’t remember the last game we sang the clubs name because we were too busy singing “Stand up for the Special One”. I want to reiterate that I am not on board with the view that we should get rid of him, but there has to come a time when we put the clubs ambitions first. Loyalty is very important, but it’s not as important as Chelsea Football Club. Article written by Paul Ferris.